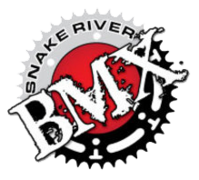 Snake River BMX 2nd Annual Easter Egg hunt!! Everyone come join us for our 2nd annual Snake River BMX Easter Egg hunt. we wil have tons of cool prizes, and some awesome raffle items as well. all proceeds go directly to our local track! The event will take place on April 20th @ the Pinecrest Event Center, Doors open at 9:00. The gate drops at 10:00 AM on the dot! !